1. Common type and numerical control (NC)-type function fully equipped. 2. Feeding and the car corners are servo-controlled space. 3. Space angle servo drive, high precision, high efficiency. 4. Use the touch screen with the available computing computers, powerful. 6. Adjustable mandrel holder can realize double and multilayer bending changes in regulation. 7.DW-CNC are economic, feeding and spatial angle are mechanical manual, saving users’ cost. 8. 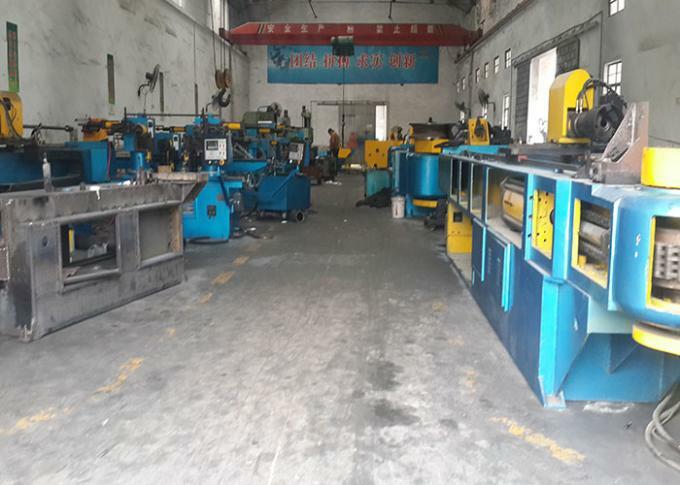 Specially designed mandrel automatic or manual oiling. Application materials: steel, stainless steel, brass, aluminum tubes and other shapes. Special accessories: special tooling, wrinkle-free boards, auxiliary push devices. 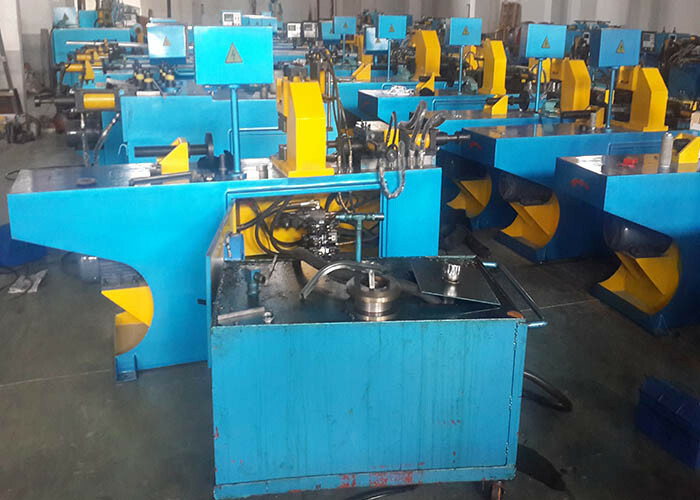 The machine consists of main transmission mechanism, mandrel body, top feed mechanism, clip feeding mechanism, trolley feeding device, the main part of the angle servo devices, electrical system and hydraulic system components. In operation, the rotation of the motor driven pump, pressure oil is supplied by the touch screen to set parameters, the microcomputer (PLC) to issue instructions to control the solenoid valve to open, close, so that the cylinders in a certain order and regularity actions to achieve high precision bending the purpose of the three-dimensional space of the tube system. DW50 CNC automatic single-head hydraulic pipe bending machine microcomputer control, hydraulic drive, Chinese subtitles, interactive touch-screen operation, specially designed space corner, hydraulic pinch Servo motor automatic rotation, lock angle, servo motors automatic elbow length, can be multi-angle three-dimensional bending pipe, is an economical and practical pipe processing models, primarily for automotive, motorcycle accessories and other multi-angle, high-precision machining of pipe. 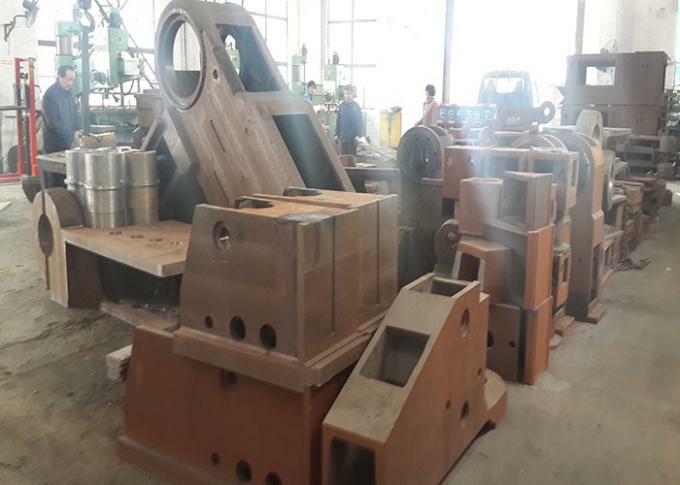 1 Machinery mainly from high quality steel plate welded structure, high strength, high stiffness. 2 Structure using a sand blasting and spray with rust. 3 Touch screen with Hitec Co., Ltd. of Taiwan origin of 10.4 inches, "HITEC"
4 Delta adopts imported PLC program maker and servo drives, servo motors for the Japanese origin of Mitsubishi Electric, compact, high precision, long life. 6 Pump from the well-known brand "Hightech hydraulic" solenoid valve from Taiwan imported brands, "Asada hydraulic" oil level has clear and intuitive display. 1 Enter both programming and interactive touch on the screen directly, can explain all the messages of their choice in Chinese. 2 Programs and data have password protection. 3 Bends, corners and feeding servo motor control. 4 Single set of wheels in the same mold die element may vary over the curvature 6D function choices. 5 Mechanical control system has processed counting function and fault self-diagnosis function. 6 Machinery with safety protection and emergency stop protection.